Measures 0 to 1 inch by 1/1000. 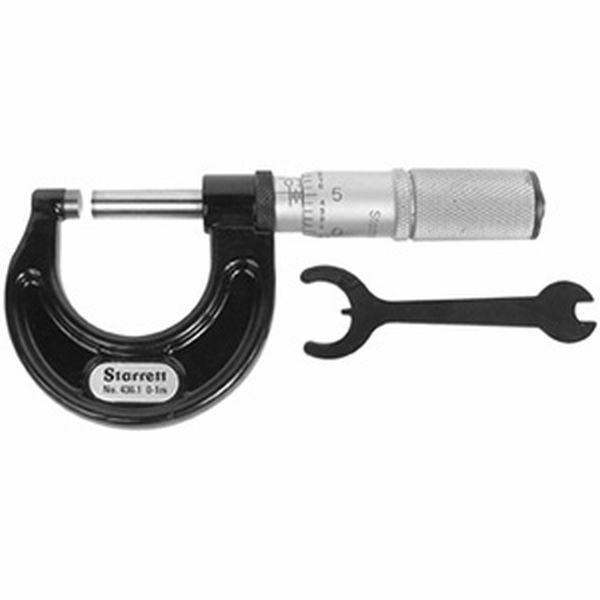 Micrometer is 4-1/4" long and has a locking device for a fixed measurement. The Starrett name assures accuracy and a long life.